How much is Neil Gaiman Worth? 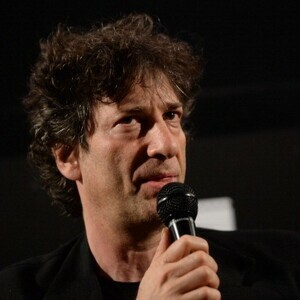 Neil Gaiman Net Worth: Neil Gaiman is an English author who has a net worth of $18 million dollars. Neil Gaiman was born November 10, 1960 in Portchester, Hampshire, England. In 1965, his family moved to East Grinstead, West Sussex where Gaiman grew up with a profound love for reading, beginning as early as age 4. Some of his favorite childhood books include J. R. R. Tolkien's The Lord of the Rings, C. S. Lewis's The Chronicles of Narnia, Lewis Carroll's Alice's Adventures in Wonderland, Batman and other comics. When Gaiman began to outgrow comic books in his teenage years, it occurred to him that there was a lack of comic books for an older audience. Gaiman became a journalist, writing articles for a number of renowned publications such as the Sunday Times, the Observer, Knave and Time Out. In 1984, Gaiman wrote his first book, a biography of the band Duran Duran. In late '80s, Gaiman published Don't Panic: The Official Hitchhiker's Guide to the Galaxy Companion. He then started writing comic books, continuing the series of Marvelman after its original creator, and Gaiman's friend Alan Moore, abandoned it. In addition to writing comics and other graphic novels, Gaiman also authored several short stories and novels. Some of his short stories and poetic stories have been compiled into the volumes Angels and Visitations (1993) and Smoke and Mirrors (1998). Gaiman's first novel, Good Omens: The Nice and Accurate Prophecies of Agnes Nutter (published in 1990, written in collaboration with Terry Pratchett). The book was named one of England's 100 "best-loved novels" in a poll conducted by the BBC. His next novel, Neverwhere, was published in 1996, followed by the Stardust series in 1997-1998. In 2001, Gaiman published American Gods, which is considered to be his best work. American Gods has been presented prestigious awards including Hugo, Nebula, Locus and SFX as well as securing a position on The New York Times bestsellers list.